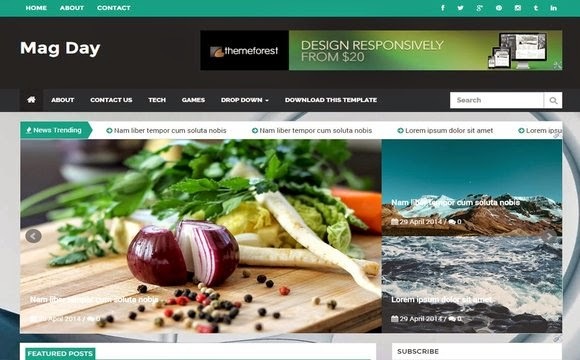 Mag Day Blogger Template is a powerful and responsive magazine style blogger template with all the features you would expect in a featured packed premium blogger template. Some of the premium features include are the category display and multiple homepage featured stories layout with a mesmerizing front page slider to aww inspire your visitors at the very first impression. Made with love by Sora Templates for the content enthusiasts to create a perfect magazine machine.